If you are looking for a fabulous place to have some food and entertainment this Christmas then you've found the right place. Jingle My Bells is a hilarious (and naughty) Christmas show brought to you by Fairies After Dark. Featuring Adena Deelites, Lady Grace and Brady Peeti, it offers a fun night out with singing, comedy and the best Drag performances you'll find anywhere in Auckland. Hosted by Garnet Station in Westmere (Auckland) you can come just for the entertainment or order platters of food for your seats. Tickets can be booked through the Garnet Station website at Garnet Station website. 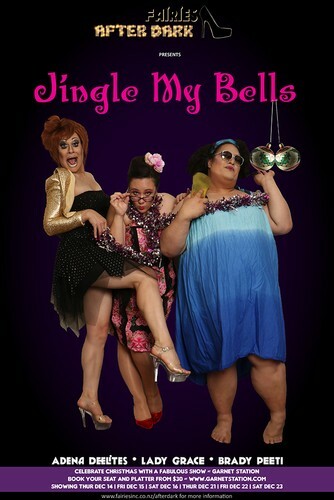 Jingle My Bells is selling six shows only this Christmas so get in quick to secure your ticket!